Welcome to another Feminist Friday column! That part of the week where we gather around our fave videos of the moment and share them with our readers. This week we’re going full throttle into the world of female empowerment, feminism and disruption, starting with a campaign designed to celebrate women who are busting into traditional boys’ clubs, in the automotive world and beyond. Car-sharing company Turo released a new campaign called #DriveLikeABoss which also includes data from research they conducted among their female customers. By highlighting trailblazing women in the automotive world and beyond, they are also hoping to impact the general female car consumer base which for too long as been stereotyped and, frankly, demeaned by the male-dominated landscape. ” The automotive world has historically kept a sharp focus on men, but these days, it’s women who hold the most power and influence when it comes to purchasing decisions. In fact, in a couple of recent surveys of the general female population and, more specifically, women who use Turo, we found that women are not only well-versed in car culture, but also relish being in the fast lane,” says a description on the homepage. Disruption and culture shift often comes down to visual representation, so the campaign has highlighted a handful of ladybosses and shared their stories to encourage those who watch. 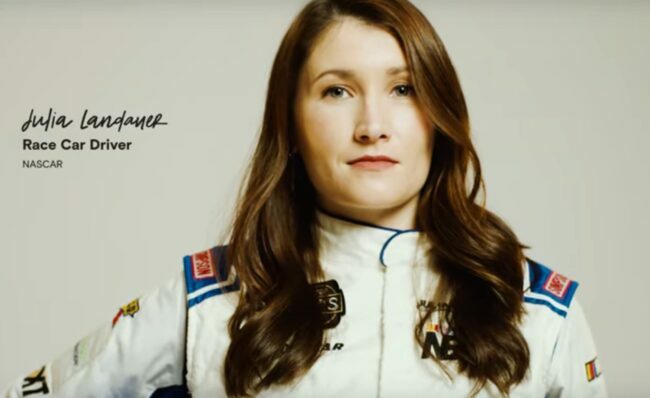 Below is the campaign video featuring NASCAR driver Julia Landauer, filmmaker Tasha Van Zandt, and CMF designer Mia Eum who reflect on being women in male-dominated industries, and how they #drivelikeaboss. The second video this week is a TEDx Talk given by one of our fave feminist sites Feminism In India, which we have featured before on GTHQ for the badass work they are doing to disrupt social and conservative norms in India. In December 2018 the site’s founder Japleen Pasricha spoke at TEDxGurugramWomen on the feminist movement in India, and why it is still necessary. She begins with the basics of what feminism is and highlights a few events and movements happening in India that illustrate why the drive for gender equality in social, economic and political arenas is more important than ever. Another organization based out of India we love for the pioneer work they are doing in the gender and feminist space, specifically with video content, is Vitamin Stree – a gender-oriented content platform which selects a new theme every month, and produces and curates content based on topics related to that theme. This month the video they released as part of their ‘Scratching the Surface’ series is all about how we use language. “From textbooks laden with gender roles, to daily speech filled with cultural stereotypes – language inherently harbors many biases. So talking the talk – at least the common, biased talk – might not always be the best idea. Are we socially conditioned to use sexist language? Do we need a system update? We give you a basic lowdown on why and how to mind your language,” says a description of the video. Watch below and challenge yourself – how can we all make an effort to make our language less sexist?